Do you love dogs? Want to be your boss? With a mobile dog grooming franchise in Perth, you can combine your love for all things dog-related with the ability to set your own hours and be your own boss. At Aussie Pooch Mobile Dog Wash, we offer you the exclusive opportunity to purchase your own dog grooming business for sale in Perth. Buying your dog wash business for sale in Perth will give you the chance to work every day doing what you love, with the additional freedom that comes with owning your own business. If you have ever thought about leaving your current job to work at something you are passionate about, the opportunity is here. Keep reading to find out how! 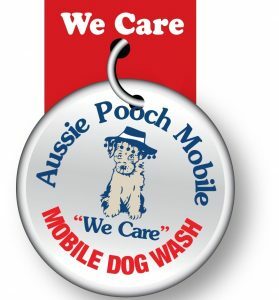 With Aussie Pooch Mobile Dog Wash, we make it easy for you to purchase a dog grooming business in Perth. We have qualified and trained franchise owners all around the World, and now you can join their ranks. Here’s a short guide to just how you can get started. Purchasing a Franchise: The first step in becoming your own dog grooming boss is by purchasing a franchise and mobile dog washing vehicle. With our range of dog wash business for sale in Perth, we have a variety of packages available to you. For those looking for opportunities large and small, we will have something that suits you. You can call us at any point to talk about our franchise options, and what might be best for your needs. Specialty Training: Once you have purchased your franchise, we will make sure you get all the training you need. It does not just include dog washing and grooming methods, but also business management and marketing skills. Ultimately, we want to empower you to be the best business owner you can be, instilling the skills you need to be as successful as possible. Getting the Word Out There: Once you have trained and are ready to start, we will help you get the word out there. Aussie Pooch already has brand recognition all around the country, and we offer marketing resources for your exact area. An integral part of our package is the offer of exclusive territory, covering 5,000 dwellings, which you will have the opportunity to advertise in and develop a loyal customer base. Start Your Dog Grooming Business Today! Get started with your dog grooming franchise in Perth today. You can find more information about the kinds of dog grooming business for sale in Perth here, and feel free to contact us with any questions you may have. At Aussie Pooch Mobile Dog Wash we want to empower you to do what you love and be your own boss.